Cooper Climate Control knows what it takes to deliver high-quality AC repair. While Tempe residents cheer on the Arizona Sun Devils mascot, Sparky, at the stadium, they deal with the effects of the harsh desert sun at home. Even in the winter, cooler nights are often coupled with moderate-to-warm daytime temperatures. Cooper Climate Control helps you tame the heat and reclaim control of your home environment no matter what the time of year. This gives you your own personal oasis that is both energy-efficient and comfortable. From single-family homes to commercial structures, our team has experience helping all types of buildings attain precise climate control. Our energy-efficient units work efficiently in the summer to lower energy costs – and your thermostat. In the winter, our HVAC systems easily handle the changing weather to deliver consistent temperatures that will keep you feeling warm. Cooper Climate Control maintains an active membership with the Electric League of Arizona and is staffed with North American Technician Excellence (NATE) and Building Performance Institute Incorporated-certified technicians. We only hire Arizona Heat Pump Council Master Technicians who demonstrate strong working knowledge of the field. This translates into superior customer service with every service call. Our services make it possible to find comfort in every room without any hot or cold spots. Cooper Climate Control specializes in HVAC diagnostics, which allow us to identify issues quickly so we can order parts or make recommendations that will help restore your unit. 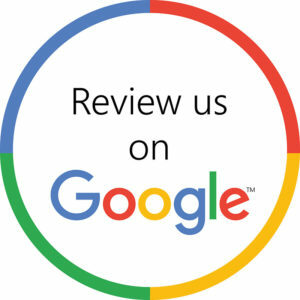 Our technicians will evaluate your system and provide you with a complete repair or replacement quote so you know exactly what to expect. There are no surprise charges or hidden fees with Cooper climate Control. If you want the best AC and heating repair Tempe has to offer, then contact us to schedule a free estimate. We’ll send a technician out quickly to help restore your HVAC system so you can enjoy a comfortable environment year-round. Do you need help with A/C or Heating Repair? 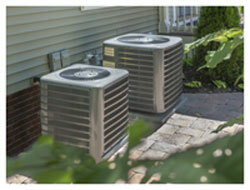 Our free, no obligation estimates make it easy to repair or replace your existing HVAC unit.